Cred is a minimalist and a stylish flat font that comes with all-caps letters, numbers, and more. The font is available in both regular and corroded styles. The urban-style design of this font makes it perfect for website header designs, posters, event flyers, and branding designs. Fusioner is a font that comes with a design mixed with street graffiti and a futuristic brush calligraphy style. The font features 100 glyphs, ligatures, alternate letters, and more. It’s ideal for everything from book covers to T-shirt designs and much more. Divine Razier is a brush font with a rough stroke design. It includes a set of letters that features a stylishly futuristic design. You can use with your event flyers, posters, website designs, movie posters, and book covers. This is a creative font with a modern design that comes in 6 different styles from regular to bold and grunge versions of the font. It’s perfect for crafting logos, letterheads, and many other creative and branding work. A futuristic font with a geometric design. 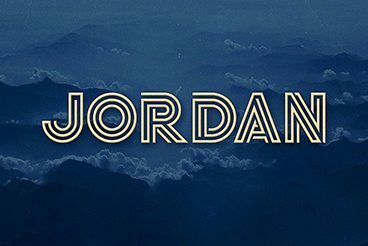 This font has a unique serif style design that gives an attractive look to your designs. It also comes with a web font version to use with your digital designs as well. Porta is a fun and playful font that also features a futuristic design. It’s an uppercase font that comes in 2 styles and includes creative alternate letters for several letters for giving a unique look to your logos, website headers, social media posts, and posters. This font comes with an unusual design that makes it truly one of a kind. The font features 26 letters and 7 extra symbols, all with a transparent design. All the letters come to you in separate PNG files to let you easily use and customize the design however you like. Breymont is an elegant font that comes with a futuristic vibe. It includes 2 font styles in all-caps with numerals and accents. The font is best for creating attractive and original designs that stand out from the crowd. Ornacle is yet another futuristic font with an unusual design. It features a creative design with unique elements embedded in its letters. The font is ideal for logotypes, website headers, and branding work. This curvy and futuristic font can be used to add a stylish look to your logo and business card designs. It also comes with a luxury vibe that will definitely make your product labels and website designs pop. Reiju is a sans-serif font that comes with a truly out of this world design. The unique and weird design of the letters will truly help add an attractive look to your designs. The font also includes 2 styles as well. This futuristic font is ideal for your logotypes, posters, flyers, branding, and many other types of design projects. It comes with both uppercase and lowercase letters as well as numerals and symbols. Quashar is a modern font featuring a hand-drawn look and a rough design. The font can be used with your posters, book covers, album covers, T-shirt designs, and more. Modeka is a modern and a futuristic sans-serif font. The elegant design of the font makes it perfect for feminine product design projects as well as logotypes and branding work. This geometric sans serif font comes with a one of a kind design. It features both uppercase and lowercase letters and support for multilingual characters. You can design unique logos, headers, posters, and much more using this unique font. Arcane is the perfect font for designing logotypes. It features a stunning and luxurious design that will fit in well with almost any type of brands and businesses. It’s also perfect for crafting website headers and letterheads as well. This font features a modern and futuristic design mixed with a playful vibe. It’s ideal for crafting posters, book covers, album covers, and catalogs. The font features both uppercase and lowercase letters as well. Entra is a modern font designed specifically for logo and branding designs. It’s an all-caps font that features a mixed design of both sharp and rounded corners. It also includes a web font version as well. A minimalist and an elegant font you can use to design logos, product labels, and website banners for high-end products. The font comes in 4 versions, regular, light, semi-bold, and bold. In addition to its beautiful bold design, this font also features a professional look that will make the appeal of your designs last for a long time. The font comes in two weights as well as a web font version. Mangano is a display font that also comes with a textured design. The mix of classic and modern elements make this font truly one of a kind. The font also includes accents, glyphs, punctuations, and more. Kikuri is a watercolor brush style font you can use to add a quirky look to your designs. The inconsistent design of the letters makes this font stand out from the crowd. The font pack also includes several extra elements in a PSD format as well. UrbanCase is a future modern font for luxury design projects. It comes in 2 versions, regular and a Slant version. The font is ideal for logotypes, signatures, signage, and letterheads. Ichiji is a highly futuristic font that comes with a unique design of its own. This font will definitely make people turn their heads around to look at your designs. The font comes in 2 versions. A unique compressed grotesque font featuring attractive alternate characters. It’s a family of fonts that includes 8 weights from thin to heavy. The font also comes with many extra features like small and petite caps, fractions, and more. Dwight is a linear font with a stylishly modern design. It comes in 2 versions, regular and italic. The font is ideal for your retro-futuristic logo designs, branding work, and poster designs. Airy is a creative and futuristic font that comes with a stylishly unique design. It’s perfect for crafting trendy logos, branding, website header designs, and more. This condensed font supports multiple languages and comes with 380 glyphs. The font is available in 5 different versions as well. This unique font is designed based on a futuristic concept. It’s an all-caps display font you can use to craft beautiful logos, website headers, signage, book covers, and CD covers. The unique characters of this decorative font feature many ancient symbols that will take you back in time. However, the unusual design of this font will also add a certain futuristic vibe to your designs. The font is available in several different variations as well. Garde is a font designed specifically for designs related to luxury businesses and high-end products. You won’t find a better font than this one to craft a gorgeous logo or a website header for a jewelry or a luxury fashion brand. Organa is a family of fonts that comes in 3 versions, all of which features a stylishly futuristic design based on geometry. You can use it for crafting logotypes, book covers, flyers, greeting cards, and much more. For more inspiration, be sure to check out our space fonts and hand lettering fonts collections as well.